Canada's national funding body for the arts is taking a stance against cultural appropriation, announcing this week that it's implementing a new system for assessing projects that include elements of Indigenous culture. Canada's national funding body for the arts is taking a stance against cultural appropriation — announcing this week that it's implementing a new system for assessing projects that include elements of Indigenous culture. "We don't see ourselves as the big arts ATM where people just put in their application and if they're lucky, they get money coming out," said Steven Loft, director of the Canada Council for the Arts' Indigenous program Creating, Knowing and Sharing. "We see ourselves very much as part of the larger cultural landscape of this land and that we have to be part of it." Artists or organizations seeking funding from the council will now be assessed according to a new framework that requires applicants to prove their work aligns with the council's commitment to respecting and honouring the rights of First Nations, Inuit and Métis peoples to cultural sovereignty. ​Much of the hands-on work will fall to peer assessment committees, the specialized groups that review and assess grant applications. 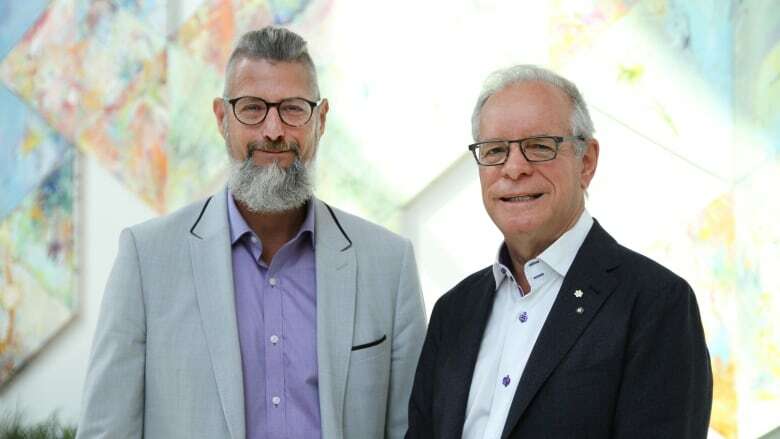 Council director and CEO Simon Brault said committee members have been voicing concern about project proposals that could be seen as leading to an act of cultural appropriation for some time now and asking for guidance on how to address the issue. While committees will be briefed on the new assessment framework, the onus moving forward will be on those applying for funds, and particularly on non-Indigenous applicants, Brault said. "There's an expectation that we will find in your application the description of your project, a demonstration that you really paid attention to make sure that you're not stealing Indigenous stories or you're not approaching your project from a colonialist perspective and that there's a real discussion, there's a real exchange, there's a real respect of the rights, protocols and stories of Indigenous people," he said. "The consequences of ignoring that now is more or less to say that perpetuating cultural appropriation of Indigenous culture in Canada is OK and has no real consequences, and it's untrue. It has real consequences." The issue of appropriation of Indigenous cultures has been raised in numerous situations, including discussions around sports teams' mascots and logos, headdresses at music festivals and a gin company's advertising and branding strategy. Earlier this year, a Canadian literary magazineeditorial embraced cultural appropriation, which quickly snowballed into a divisive national controversy. The conversation about cultural appropriation is not limited to Indigenous cultures, but Brault made a point of saying the new approach at the council is specific. "It's not kind of a broad position or abstract or academic position on cultural appropriation at large. It's really targeted towards the relationship between Indigenous and non-Indigenous communities in the context of the post-Truth and Reconciliation era," he said. This isn't about the council becoming the art police or limiting freedom of expression, Loft said. "I don't think artists should be scared. I think they should be excited, perhaps wary of what they're doing, and that's not a bad thing," he said. "What we want them to do is challenge themselves and to do things in a respectful, reciprocal manner. And that just takes thoughtfulness and it takes really thinking through things and challenging preconceived notions." Loft and Brault said the council's newly public stance is not a response to any particular debate or example of cultural appropriation, although they've paid attention to those conversations. Instead, they see the move as a continuation of the council's journey toward decolonization and reconciliation. "Art and culture have always been at the forefront of these kinds of discussions of rights, of who we want to be, where we've come from, where we are and where we want to go," said Loft.